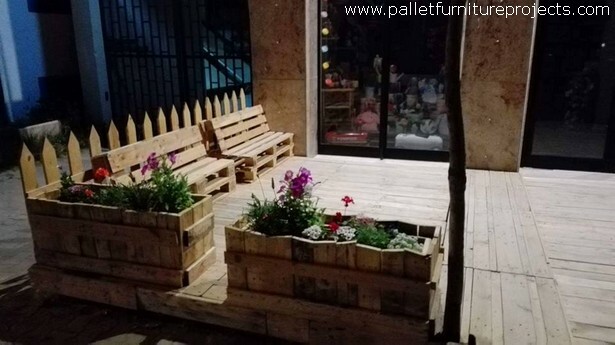 When people give us feed back and tell us about some of the wooden pallet recycled items that they saw on this website and then they tried it, we really feel honored and obliged. This always gives us a strange feeling of satisfaction and happiness. 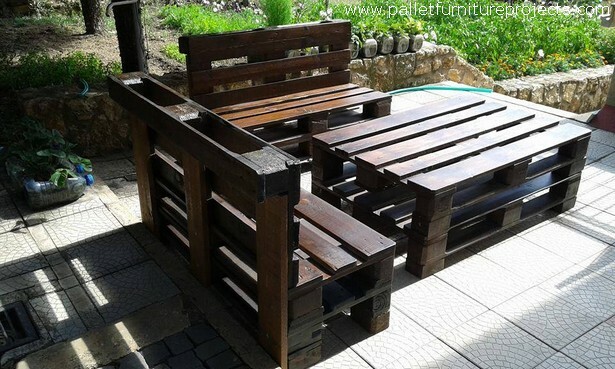 This really makes us feel like people have started realizing the importance of the pallet wood recycling and masses are getting inclined towards this beautiful art. 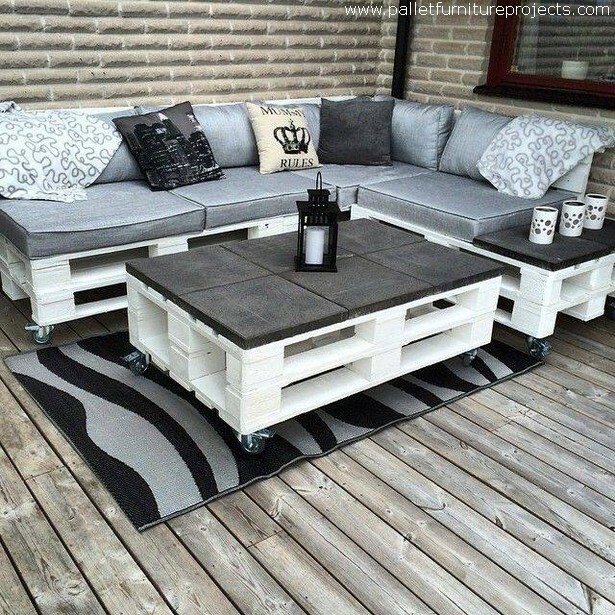 So again we bring here some wooden pallet recycled plans for you guys. This exploration is just like a never ending process, our entire team always remain in search of ever new pallet wood recycling ideas. I always call such places the wood pallet land where each thing seems to be belonging to shipping pallets. 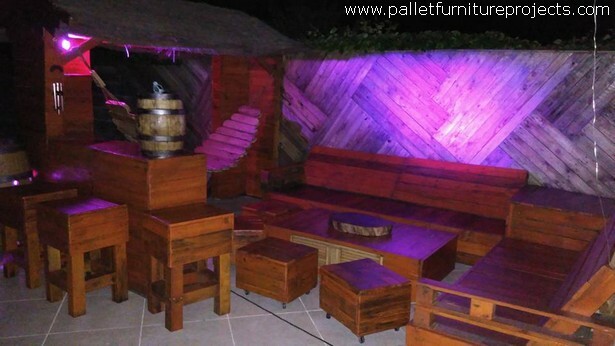 As here we see a number of wood pallet creations, like the whole wooden pallet deck is made with the pallet wood, we have done a decent fencing all around, and the wood pallet couches are also made to make it a complete sitting place. This café is having all the wood pallet recycled furniture items. Tiny stools, large wooden pallet couches and a couple of tables, they all were made in a domestic workshop. 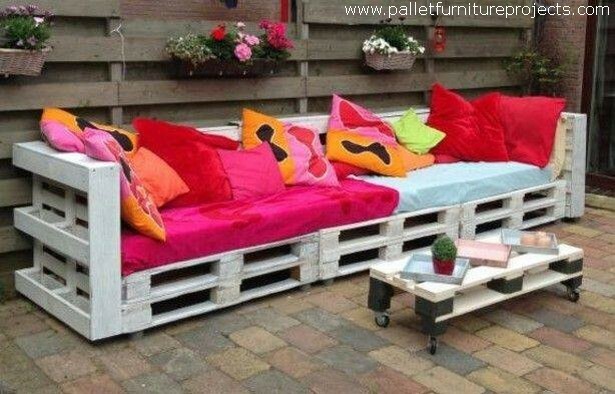 To make the patio an ideal part of the house, this whole wood pallet repurposed furniture was made. The wooden couch is unconventionally large, where a number of people can sit. But the coffee table is just kept pretty little as compared to the wooden couch. While furnishing a newly built house, the most expensive item is the wooden furniture. Usually we set aside a robust amount just to but the furniture items. But with the wood pallet recycling, the only thing that we need to take care of is the collection of an appropriate shipping pallet range and that’s it. This raised wood pallet garden was made with a specific intention to grow some favorite herbs in it as they couldn’t be grown in the regular green landscape. 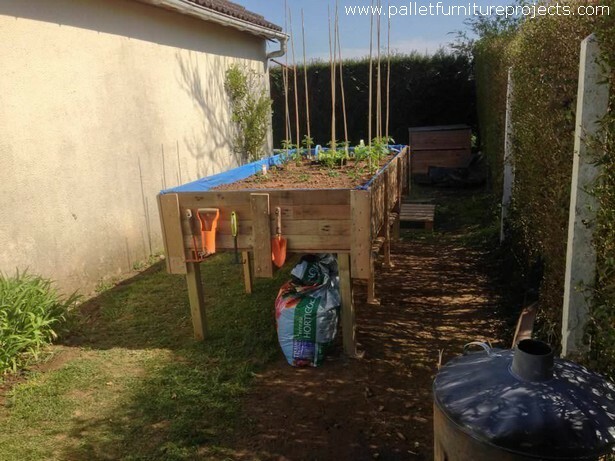 The raised garden is recycled in such a way that we have provided it with different racks where all the gardening tools can also be hanged. 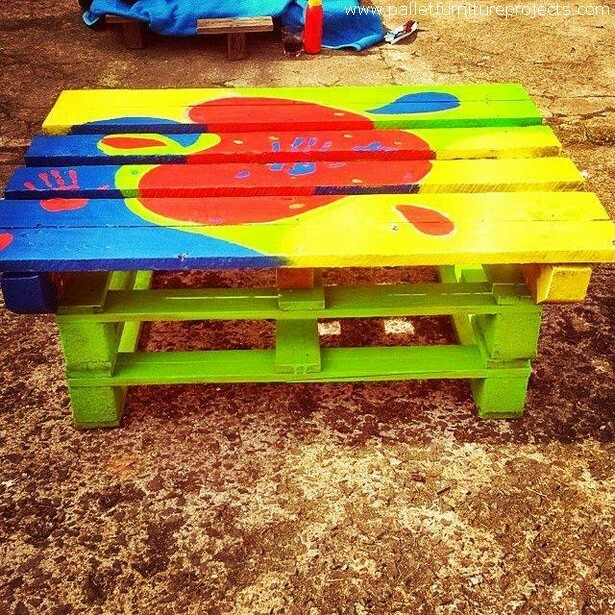 Look at this beautiful color work, this can easily be comprehended that this wood pallet table is made especially for the kids. This would create just a perfect atmosphere for the kids to study as they always love and get inspired from the colors. 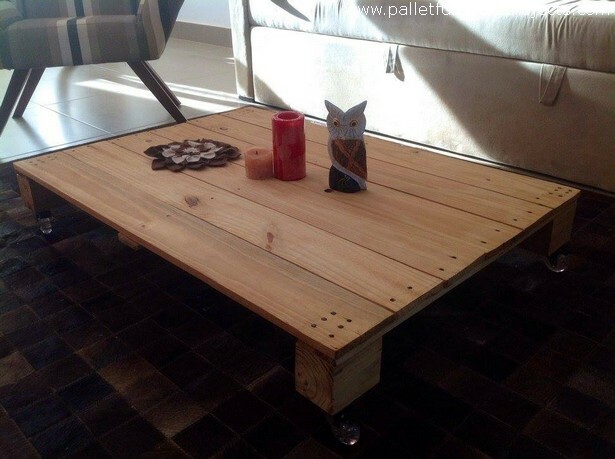 This large and flattened wood pallet upcycled coffee table though was made to be used as a regular side table. But the spacious top and wheels on the base make it an ideal furniture item to also be used outdoor as well because transferring it with wheels is just so damn easy. 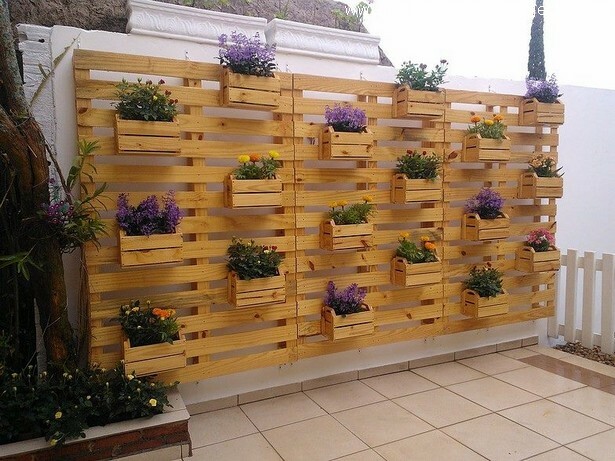 I just can’t resist the beauty of this exquisite pallet wood recycled vertical garden. This is made with extreme love and care plus the expertise and mastery also seems to be on peak in this specific pallet wood creation. Infact this is more of a decoration piece.